Cities all around the world are coming up with groundbreaking ways to combat issues plaguing their surroundings, such as crime, traffic and the excess of greenhouse gases. To highlight the innovation of these cities and offer a glimpse into futuristic solutions for others to adopt, CNN Digital launched an 8-week futuristic video series today called City of Tomorrow. The series includes videos, text, photos and other interactive features, and will conclude with a 30-minute CNN TV special airing on Saturday, July 19. Some of the inventive ideas covered in City of Tomorrow include sophisticated CIA software used by Los Angeles police that wrangles huge amounts of data to fight crime; the “world’s greenest commercial building” in Seattle; and experimental cities in Japan and the Middle East that offer a peek into future lifestyles. To find more about the series via social media, users can follow the conversation on Twitter with the hashtag #CityofTomorrow and learn more on CNN’s Facebook page. 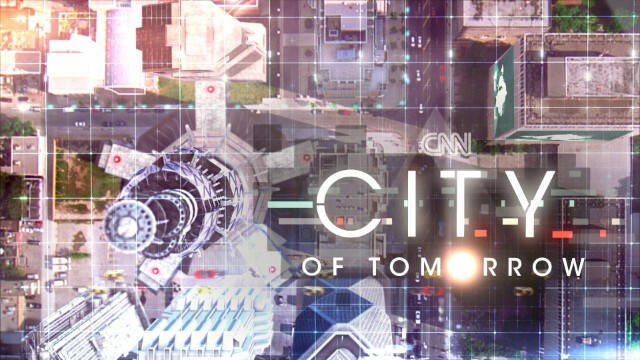 Additionally, City of Tomorrow is the one of the first series to launch as part of CNN’s Digital Studios initiative, an internal production house that produces a series of original video franchises. Topic areas for digital studios include innovation and technology; entertainment; wellness and lifestyle and travel and adventure.